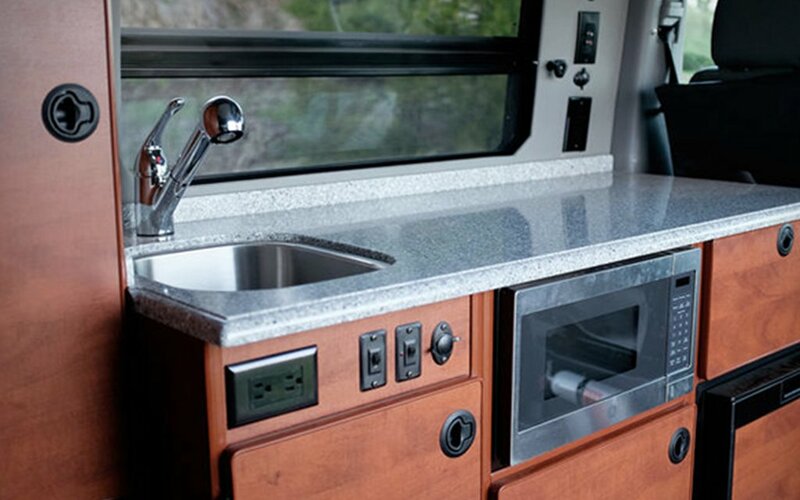 There are plenty of covetable RVs out there. Vintage, sleek, off-roading, whatever this is. But if given the option, we prefer luxury. And for that, Sportsmobile will deliver. 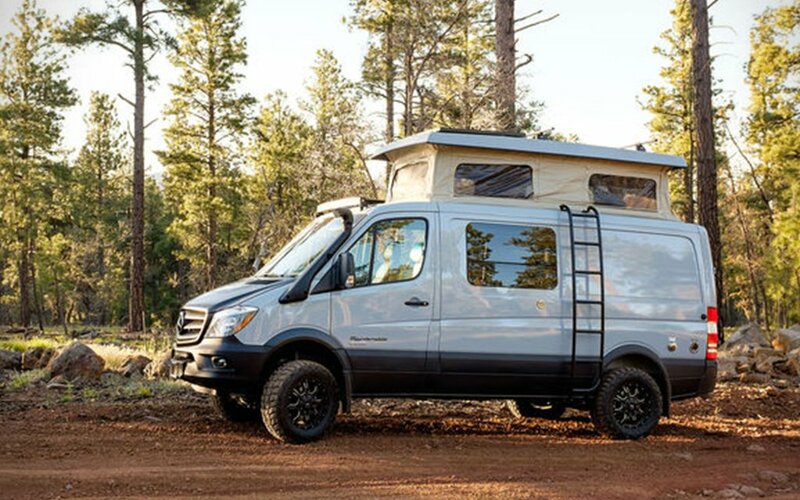 Converting Fords, Chevys, GMs and Mercedes into travel rides since ‘61, they’re trustworthy when it comes to designing the adventure caravan of your dreams. 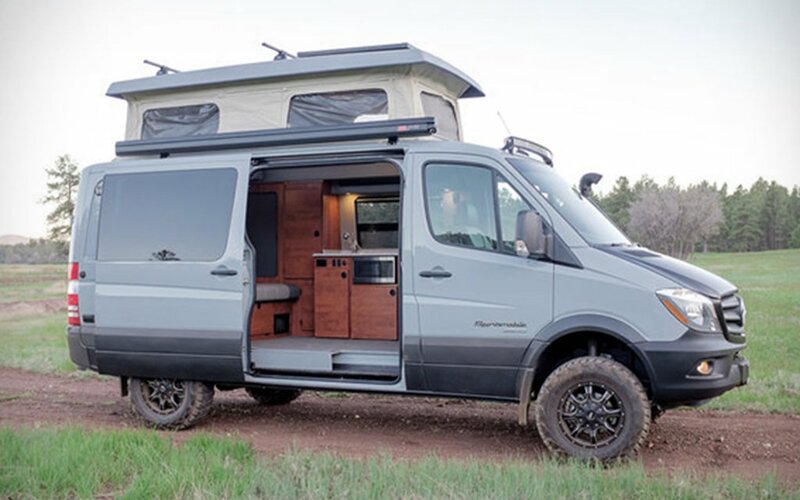 In our opinion, it’s all about the Mercedes Sprinter 4×4 Camper. Because who wouldn’t want to traverse the rocky back country in a custom Benz? 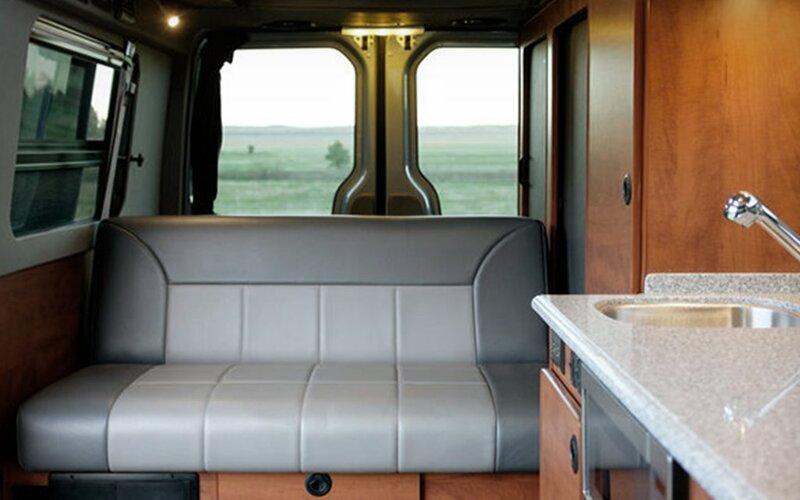 Sportsmobile will get a custom rig built for you in five easy steps: pick the van, the top, the floor plan, the style and your choice bells and/or whistles. And then you’re on your way to cruising in a heavy duty 3.0-liter BlueTec V-6 van with 188 ponies and 325 lb-ft of torque. 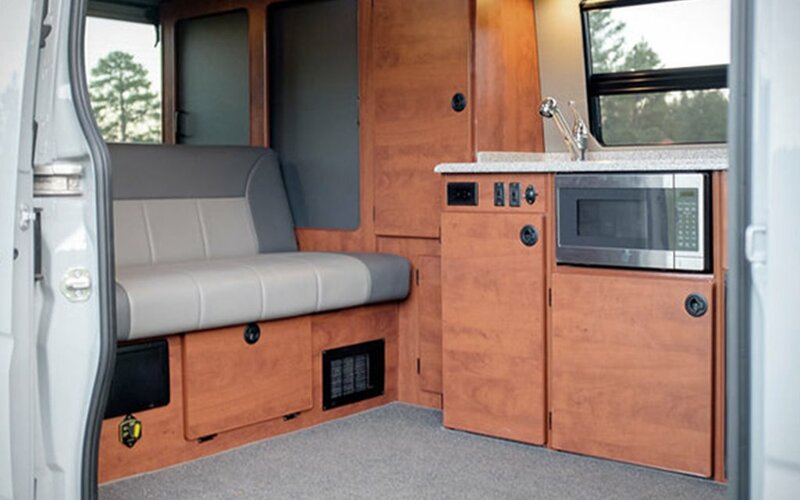 Inside: leather seats transform into a bed, an extendable roof with two extra beds, a kitchenette with stove, sink and refrigerator and microwave oven. 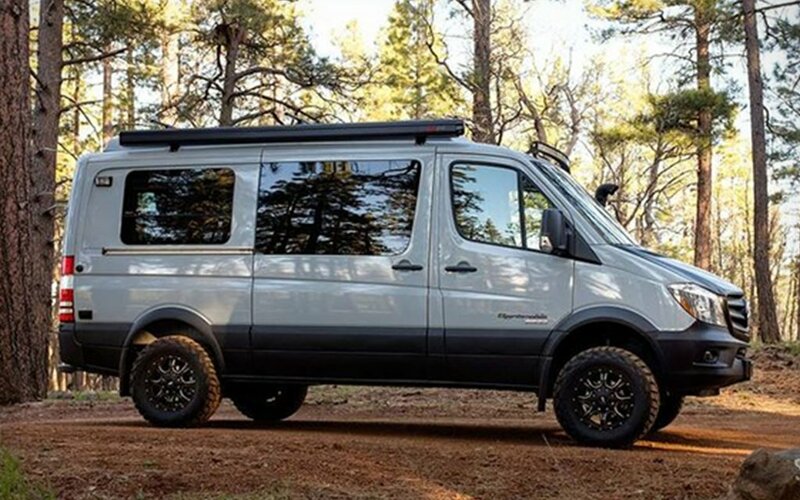 For a mere $70,000, you’ll be the envy of explorers everywhere, or at least road warriors.